Double album with the sketches of the boards on the left pages and the inked boards on the right. With 11 pages graphic notebook. Accompanied by 2 ex-libris. 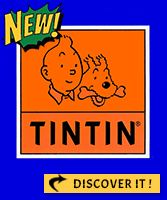 Advertising sticker Citroën. Text : un service comme ça! With Natacha as illustration. The Seven Deadly Sins followed by "Long live the holidays"
François Walthéry is dead laughing! Album in tribute to Walthéry and his work. Fardon in tribute to the "Prix Ringard 1985" and the hyper-rare album of the great paris known as "Natasha propeller"
Previously unpublished drawing by the creator of the 'Natacha' series. 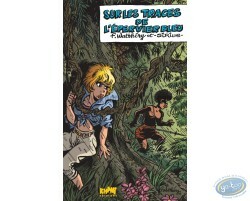 Deluxe edition of the 'Tiroirs secrets de Walthéry' comic book that contains lots of previously unpublished short stories. French edition. Wonderful image on the theme of Christmas made by the 'Natacha' series drawer. All the fans will fall in love with this drawing !